perhapablog... and other ramblings: Today's the Day!! well, today's the day, perhapa-gang! PERHAPANAUTS: DANGER DOWN UNDER! no.1 will be arriving at your local comic shop later today and you don't wanna miss what everybody's gonna be talking about tomorrow!! and maybe if everyone's not still talking about justin timberlake and jessica biel. god--get over it! they didn't even care enough about you to get married in your country! anyway, it's finally here and, as you know, i've been busting at the seams waiting for you to see the awesome goodness of it! i mean, yeah, the writing is great, that's a given. but the artwork in this issue is just awesome! 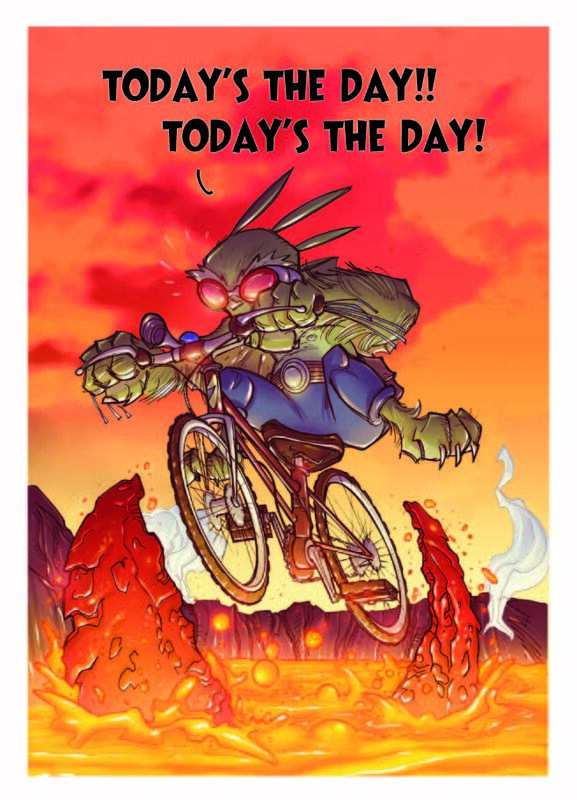 craig has always brought his 'A' game to the perhapanauts, but in the two years since we last published any new work, his 'A' game has gotten sweeter and sweeter! i'm not gonna mince words--MIKE THOMAS is MAGIC!! COMIXOLOGY!! that's right, gang--we're same day on sale! go and see for yourself! it's cool! Heading to bed now, but I just want to say: I finally got a chance to read The Perhapanauts: Danger Down Under #1 today. Absolutely wonderful to have the 'Haps back and both Todd Dezago and Craig Rousseau are at the top of their games--which means about a mile over the top of most people's. If you love comics, if you love good storytelling, if you love humor...hell, if you love America, buy this comic. Obama wins and I get a new 'Haps book.
. . . and a promotion. Thanks guys, I won't let you or Unit C down. Finally got to read it! Excellent work, as always! Any ill will I held for having Men at Work singing in my head all day was wiped out by the Gremlins being fans of Christmas Story and Hitchhiker's Guide!